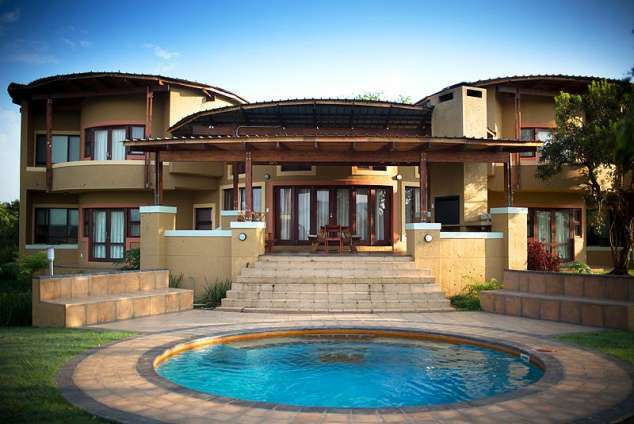 Nkonyeni Lodge & Golf Estate - Manzini Accommodation. Dining facilities at Nkonyeni Lodge & Golf Estate include a cafeteria. Breakfast is available - a surcharge will apply. Public areas at Nkonyeni Lodge & Golf Estate are comfortably air-conditioned. Other hotel amenities include garden, gift shop/newsstand and tennis court(s). Leisure amenities: There is an outdoor swimming pool at the hotel. Guests can also enjoy the following spa/wellness facilities: full-service health spa. Other services: golf course on site, tours/ticket assistance and wedding services. Room facilities include climate control and coffee/tea maker. Other room amenities include desk. Bathroom amenities include bathrobes, hair dryer and makeup/shaving mirror. Housekeeping services are also available. Satisfy your appetite at one of the hotel's 2 restaurants. Quench your thirst with your favorite drink at a bar/lounge. Breakfast is available for a fee. You must present a photo ID when checking in. Your credit card is charged at the time you book. Bed type and smoking preferences are not guaranteed. Your reservation is prepaid and is guaranteed for late arrival. The total charge includes all room charges and taxes, as well as fees for access and booking. Any incidental charges such as parking, phone calls, and room service will be handled directly between you and the property. Extra-person charges may apply and vary depending on hotel policy. Intl.) - 8.9 km / 5.5 mi. 5566 page views since 30 Oct, 2014. Last updated on 28 Apr, 2017.